We are busy planning our next Quaker Tapestry Roadshow or Touring Exhibition for 2019 and beyond, publishing these events when we have all the information for you. You may think that this is out of your reach at the moment but please continue to ‘dream’ – we have learnt from experience that all is needed is one enthusiastic person to get the ball rolling! It’s a collaborative process involving the venue, the Quaker Tapestry team and Quakers in your area. 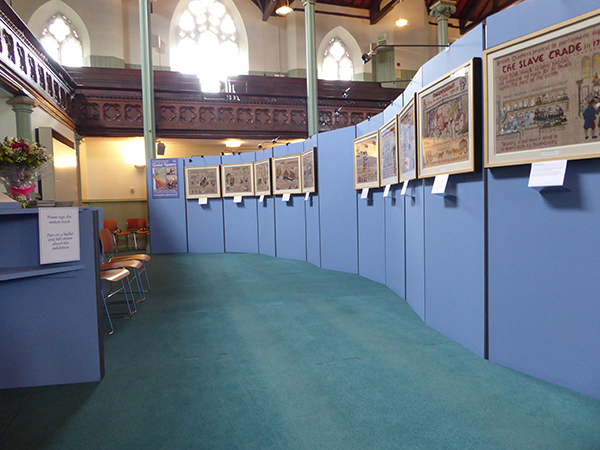 The Quaker Tapestry panels of embroidery are ready to go – complete with display boards, lighting, interpretation material and of course the wow factor!